When an actress marries a ballet dancer, then we are most likely to get an offspring who has a knack for both dancing and acting. Such is the story of Anna Baryshnikov who was born into an artistically inclined family and went on to carve out a carrier for herself in the merit-driven entertainment industry. Anna as an actress had her big break in 2016 in the film Manchester by the Sea where she played the role of Sandy. The spectacular portrayal of her character in this film earned her a couple of award nominations. Other than this, she has also acted in a couple of other film productions, mostly television series which you will soon learn about below plus more. Anna was born into the Russian American family of ballet dancer and actor Mikhail Baryshnikov and former ballet dancer Lisa Rinehart. 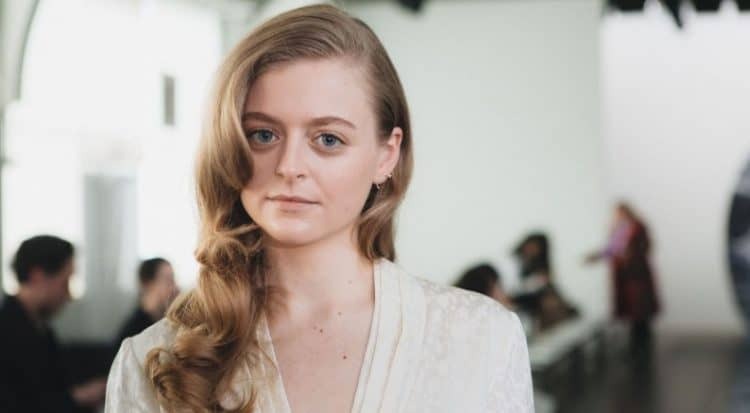 Her full name is Anna Katerina Baryshnikov and she has as her siblings: Alexandra Baryshnikov a.k.a Shura, from her father’s relationship with actress Jessica Lange, and Peter Andrew Baryshnikov (brother) and Sofia-Luisa Baryshnikova (sister), both of whom she shares the same mother with. As a kid, Anna trained in Ballet dancing just like her step-sister Shura as she was growing up in Palisades, New York where she also attended school. At the time, she performed in an afterschool children’s Shakespeare theatre of A Midsummer Night’s Dream where she played the character of Peaseblossom. As Anna got older, she was allowed to go and see any movie she wanted and this helped to even endear her to the arts the more. After high school, she enrolled at the Northwestern University where she soon graduated from in 2014. Anna Baryshnikov began her acting career properly, following her graduation from college. She recorded her first professional acting work in The Mysteries of Laura (2015) where she played the character of Tracy Dunn in episode: “The Mystery of the Deemed Dealer.” This same year, she scored a couple of roles in other television series like Doll & Em (in a small role as a journalist), and Blue Bloods as Jenny Strong in episode: “With Friends Like These.” Her acting portfolio got bigger in 2016 with roles in films like Model Woman, I Shudder, Good Girls Revolt, Wiener-Dog and of course the Kenneth Lonergan’s directed Manchester by the Sea which is her biggest work so far. In the film, Baryshnikov played the character of Sandy (the daughter of Jill, played by Heather Burns). Following the success of this Lonergan’s directed 2016 American tragedy, Anna earned more roles in television productions like Superior Donuts (2017) as the character Maya followed by The Kindergarten Teacher (2018) where she played as Meghan in the Sara Colangelo directed American drama film which also starred Maggie Gyllenhaal, Michael Chernus, Gael García Bernal and a couple of other actors and actresses. As earlier stated, Anna Baryshnikov is the daughter of Mikhail Baryshnikov; a Russian ballet dancer, actor and his wife Lisa Rinehart; an American writer/director, video journalist and of course a renowned dancer. Another famous person in her family is her step-sister Shura Baryshnikov who also followed the family’s art tradition as a dancer, actress in addition to working as a dance educator. Anna’s other siblings are Andrew Baryshnikov and Sofia-Luisa Baryshnikova. Her dad began his ballet dance classes as an 11-year-old in 1960, by the late 70s, he made his first recorded film appearance in the Twentieth Century-Fox production Yuri Kopeikine, The Turning Point which was then followed by a myriad of other film works till he made his last recorded film appearance in Le Mystere Babilee in 2001. On her maternal side, Lisa (Anna’s mom), has choreographed in a lot of productions and stages which include Lincoln Center for the Performing Arts in New York City, and Hudson Valley Shakespeare Festival which is based in Boscobel in Garrison, New York. Her sister Shura Baryshnikov is also doing good for herself and the world of art as a teaching associate in the Department of Theatre Arts and Performance Studies at Brown University where she lectures/works with students enrolled for their Masters of Arts program. Not much has been revealed about her two other siblings. The actress stands considerably tall at 5 feet 7 inches or 1.70m. At this height, she weighs about 55kg which is the equivalent of 121lbs. Anna Baryshnikov can easily be spotted with her blonde hair color and her contrasting but beautiful blue eye color.